WASHINGTON — He has become one of the most prominent voices for Arizonans living along the southern border and the Border Patrol agents who protect them, so it is no surprise that Art Del Cueto will be the guest of U.S. Rep. Andy Biggs (R-Phoenix) for the State of the Union address. 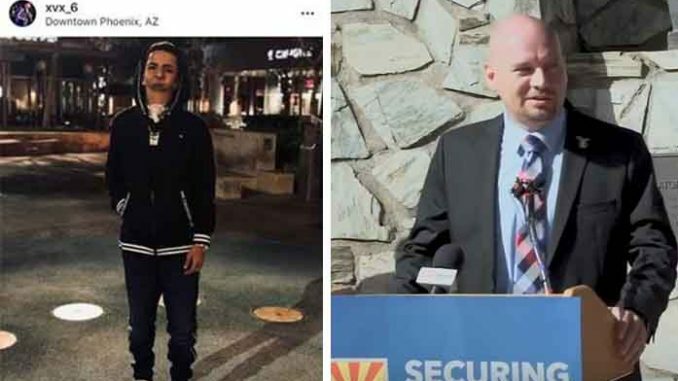 Senator Martha McSally (R-Arizona) has asked Isaiah Acosta, a 19-year-old rapper and advocate for Phoenix Children’s Hospital and Children’s Miracle Networks Hospitals, to be her guest at President Donald Trump’s speech. President Donald Trump will give his second State of the Union address to a joint session of Congress at 7 p.m tonight. Acosta, from Phoenix, was born without a lower jaw. Although he is unable to speak, he writes rap lyrics and has successfully recorded and performed multiple songs with Phoenix-based hip hop artist Tikey Patterson, said a release from the senator’s office. Patterson, who voiced Acosta’s lyrics, lost his battle with cancer late last month. Biggs praised Del Cueto, vice president of the National Border Patrol Council, who has been credited with leading the agents’ union toward its endorsement of Trump for president. “Art Del Cueto is a great American patriot, and I am honored to attend the State of the Union with him,” the Congressman said. “Since he joined the Border Patrol in 2003, Art has dedicated his life to enforcing our immigration laws and protecting Americans. I’ve had the privilege of touring our porous border with Art on several occasions over the past few years, and I am grateful for his knowledge and his leadership within Border Patrol. Del Cueto, a Douglas native, said he was honored to be invited to the State of the Union address.